Description: Amazing Travelling Friendship Fair! uses books, online content and gaming to teach kids 3 to 6 how to have better relationships with each other, the earth and mostly with themselves. This property is still in development. Available for Distribution: Yes in all territories. Description: From the creator of hit preschool series the Big Comfy Couch comes a new preschool webseries: Bunny Bop! 15 five minute episodes invite little people and their caregivers to enjoy watching other young children (dressed in bunny suits ) being busy bunnies – playing and learning and – yes – hopping. Content also highlights Baby Signs, Baby Yoga, pre-math, social integration and healthy eating. 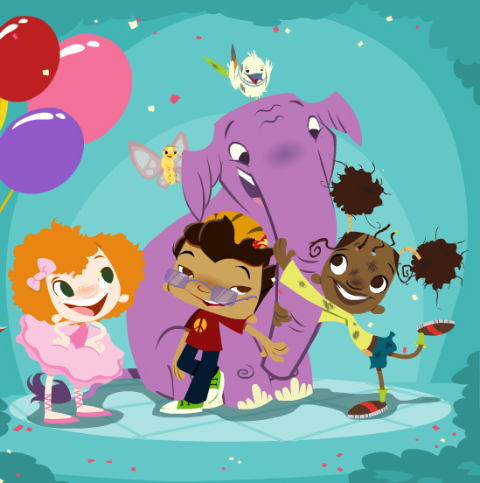 And because everyone loves a good story, each webisode features a Bunny Tale starring the very bouncy puppet, Buddy Bunny and his best friends, Posey the Caterpillar and Beep the Butterfly. Available for Distribution: Contact Periscope Pictures.